- Choose paper grain and color. Added iAd except for Pro IAP users. Saved Sketches are now smaller. New IAP to buy Extra Tools and Layers separately. 5 new Tools available on iPhone. 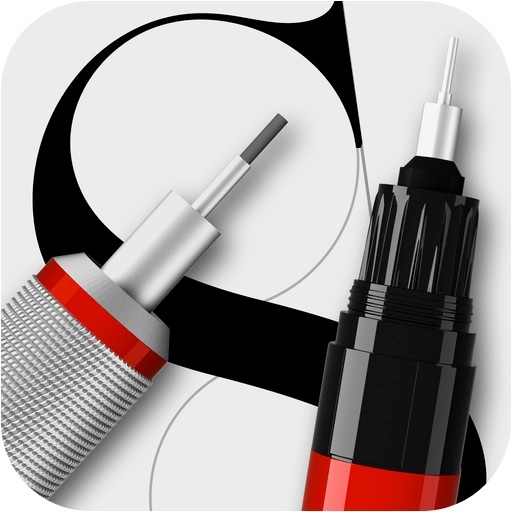 Brush Editor available on iPhone. Stylus Pressure is now Supported. Available for Hex3, Wacom and Adonit styluses. We have reworked the engine completely to make even more amazingly realistic tools. Now choose between 2 color modes: Classic, with one color for all tools or Advanced: each tool remembers it's own color. Change mode in preferences panel. The developer advises that there has been an update to version 4.5 of the App. Fixed bug with layers not saving. Buying "Pro" IAP from the info panel now works properly. 5 new ways to share your drawings: Dropbox, Tumblr, Flickr, Picasa and whole books in pdf. New "photo" stickers allow easy placement of pictures on any layer. The developer advises that there has been an update to version 5.6 of the App. Eraser not working is corrected. Photo Sticker bad preview is corrected. And many many small improvement on user experience. The developer advises that there has been an update to version 6.5 of the App. Import and Export pictures to or from other and apps through iCloud drive. Share your drawings to many services with the us of the new Sharing extensions. Import pictures as been enhanced to ease the process of positioning images in your drawings. The developer advises that there has been an update to version 6.6 of the App. A completely new Flat UI to match the beauty of iOS7 and 8. New animations everywhere, the workflow has never been so smooth. Updated Wacom and Adonit Stylus drivers. 3 new languages: Traditional Chinese, Swedish and Vietnamese. The developer advises that there has been an update to version 8.1 of the App. Optimized for iPhone 6 and 6 plus. Remove the bug that makes layers white on iPad.